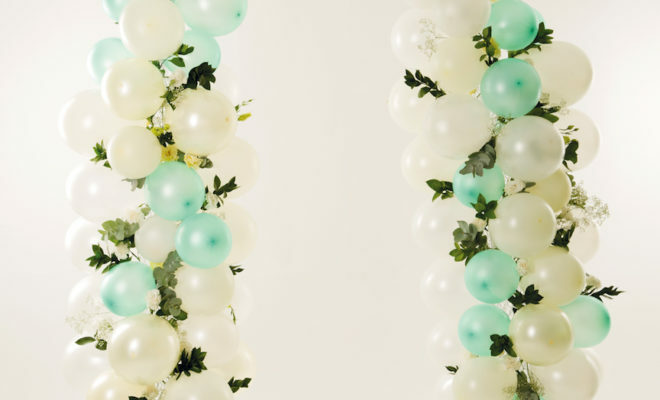 Say your I-dos under this fresh, fun balloon wedding arch. Prepare the wire structure and balloons the day before, then just add greenery in the morning. Roll your chicken wire lengthways into a tube and bend in the centre to create an arch. Keep the arch together by tying florist’s wire at intervals along it. If the arch is going outside, use sturdy wooden rods or poles to stand it upright. Insert one end of each rod into the ground at least 20 cm deep. Place the bottom ends of the arch over the rods and secure with florist’s wire. If the arch will be placed indoors, suspend it from the ceiling with fishing line. Insert bits of damp florist’s foam into the arch, ensuring they are hidden. 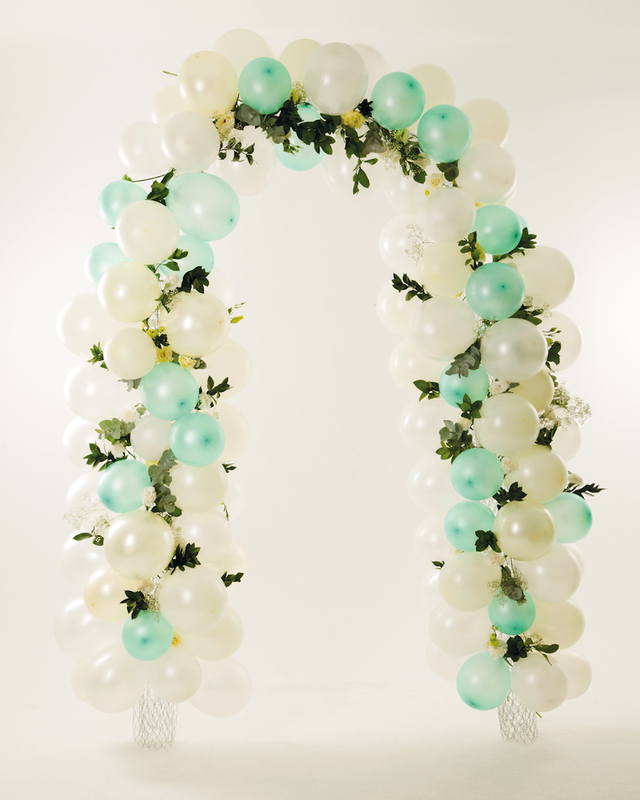 Blow up as many balloons as you like (we used 150) and attach to the arch using florist’s wire. 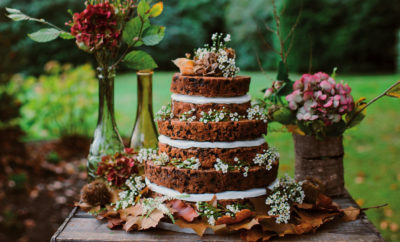 Insert your flowers and leaves into the foam, using florist’s wire to hold them in place. Cover any exposed florist’s foam with balloons or flowers.